Oh boy! Here we go! 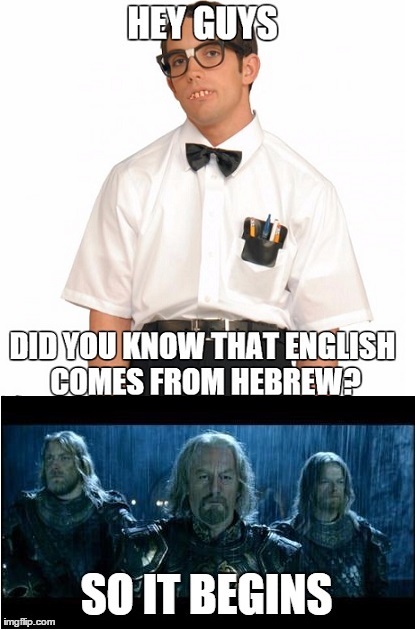 Ok, so the world started 6000 years ago, and the first language was Hebrew and then everyone was scattered from Babel and that is where all the languages come from. So obviously that is rubbish. But these people talk with such authority about language and some people can even believe the “English comes from Hebrew” nonsense if they don’t know anything about language. Previous PostThis happens to me :DNext PostWhat do you think of English spelling?